The Southeast’s spate of freakish fall fires continued on Monday night. Tinderbox conditions and powerful winds whipped up a firestorm in Great Smoky Mountains National Park, forcing the evacuation of at least 14,000 residents from the gateway communities of Gatlinburg and Pigeon Forge, Tenn. Fleeing residents documented a harrowing nighttime escape on social media as flames licked the side of the road and smoke clogged the air. 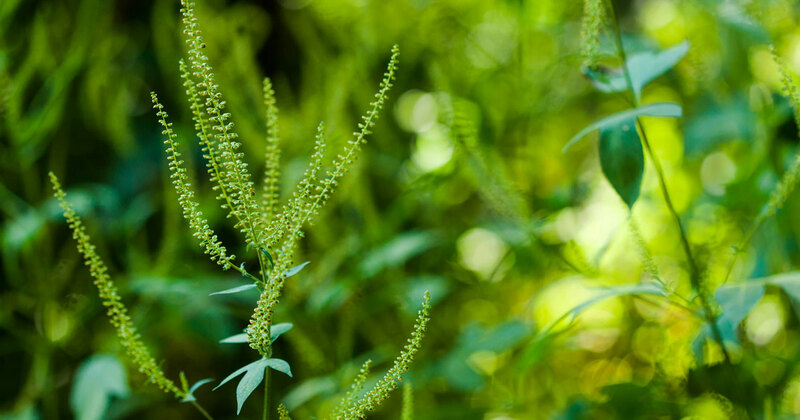 Gatlinburg is one of the gateways to Great Smoky Mountains National Park, the most trafficked park in the U.S. with 10.7 million visitors in 2015. The town itself sees 11 million tourists annually, with many coming to visit the park and the town’s resorts and attractions, including Dollywood in neighboring Pigeon Forge. While the downtown core appears to have made it through the fire unscathed, some resorts are reporting damage. 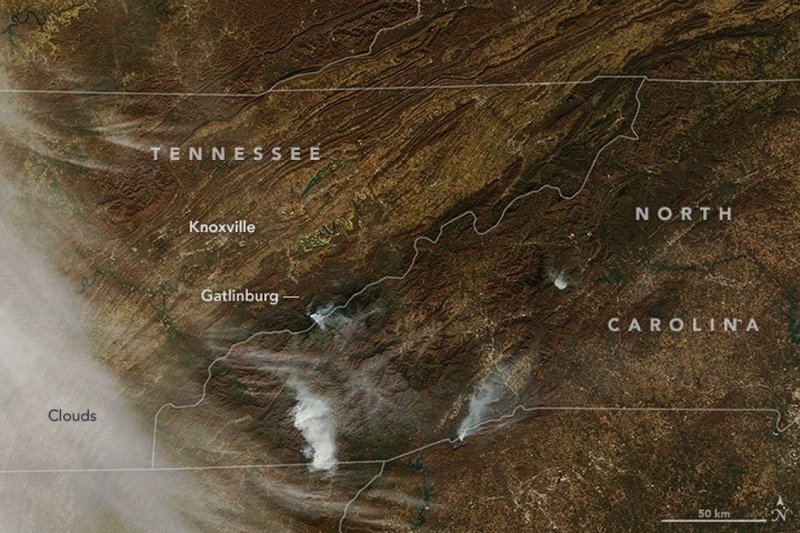 Smoke from wildfires across the Southeast, including the Chimney Top Fire, is visible from space. Jamie Sanders, a public affairs employee at Great Smoky Mountains National Park, said the fire was likely human-caused, though investigators are still trying to pin down more specific details. But weather conditions conspired to cause a massive blow up on Monday evening. Intense winds — which Sanders said gusted up to 87 mph — sent embers flying, sparking new fires faster than firefighters could keep pace. 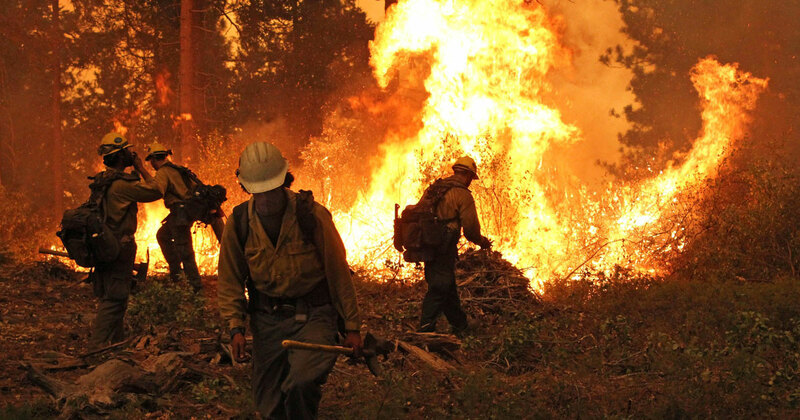 A prolonged drought that has engulfed much of the Southeast created conditions that were ripe for this fire as well as others that have dogged the region this fall. Areas in and around Great Smoky Mountains National Park are dealing with year-to-date rainfall deficits of up to 20 inches. 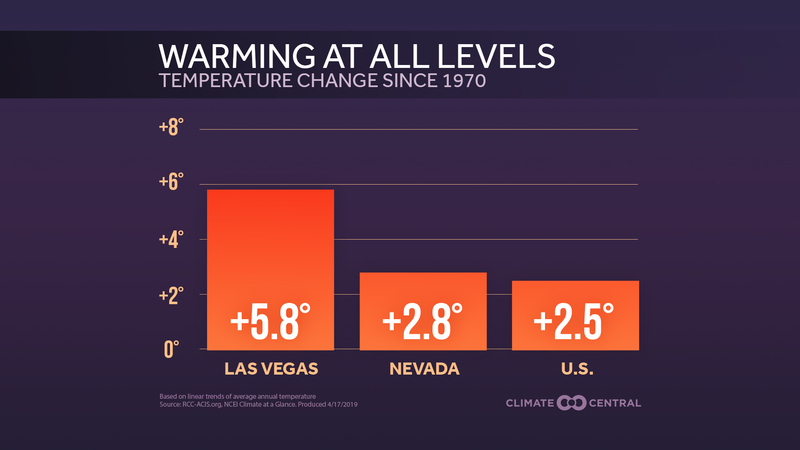 Through October, Tennessee is also having its third-warmest year on record. That’s ensured the entire state is mired in drought with the epicenter in the southeast part of the state that’s currently ablaze. Those areas are no strangers to fire, however. It’s a different story in Gatlinburg. The Great Smoky Mountains are named for the fog that typically hangs over the mountains, not smoke from wildfires. That fog and a generally wet climate typically helps insulate the area from ferocious fires. Whether climate change will make fires more common in the region is an ongoing area of research. It’s unclear if the Southeast will become wetter or drier due to climate change and that will have a big influence on future wildfire activity.